"The Villages, Lady Lake, Mount Dora, Summerfield, Inverness, Crystal River, Ocala, Orlando, Micanopy, Gainesville, Newberry and surrounding cities"
A professional visual Comprehensive Home Inspection by HOME INSPECTOR USA gives you an independent, unbiased view of any problems on your potential investment for your consideration, so that you will have all the facts you need to make a sound, informed decision. The Home Inspection information is provided for your decision making process. Depending on the size and condition of the home, a thorough visual Home Inspection will take no more than four hours. Ideally, you will accompany your inspector during the consultation, so that you will have visual reinforcement of your written report. We take our Home Inspection report seriously. Every inspection is a complete and thorough analysis of all the major systems and components in the home. The Home Inspection report includes a clear description of what we've found with any problem areas noted, so you can easily identify them. 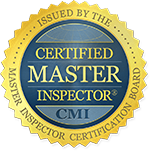 Our Home Inspector also provides a free telephone consultation after your Home Inspection. Please click on the HOME CARE GUIDE written by Mr. Gromicko (president and founder of the National Association of Certified Home inspectors (NACHI) above. The concerns highlighted in this graphic may or may not be all part of a standard comprehensive Home Inspection. Talk to your HIUSA Home Inspector to address all your questions regarding what is included in a standard comprehensive Home Inspection, environmental and any ancillary services that may be available to you. IT'S NOT NECESSARY TO LEAVE YOUR COMPUTER TO CALL FOR A HOME, MOLD OR A COMMERCIAL INSPECTION, SIMPLY "CLICK BELOW" AND SEND YOUR PHONE NUMBER TO MY CELL PHONE... I'LL CALL YOU WITHIN MINUTES.